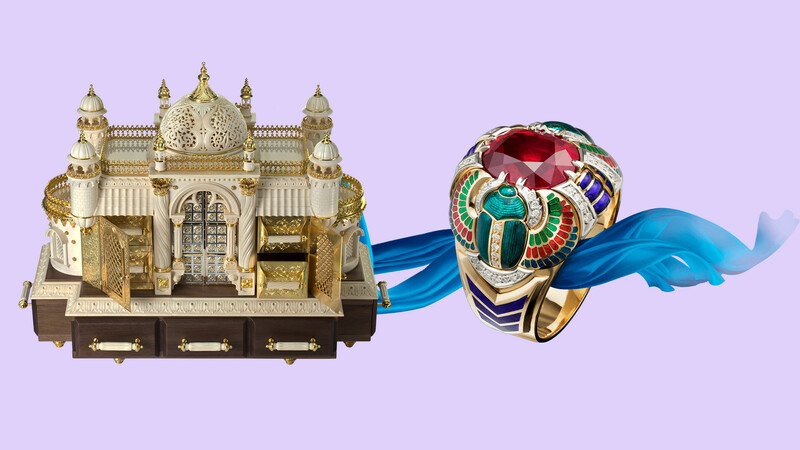 This world-renowned jewelry maker began his career in the 1990s. At first, Fazulzyanov worked in stained glass, but at the age of 26 he opened his own jewelry workshop. International acclaim first came 10 years ago: Ilgiz twice won the Grand Prix in the International Jewelry Design Excellence Award competition, often described as the ‘Oscars for jewelers’. Then, in 2016 the Moscow Kremlin Museums staged a solo exhibition of his outstanding jewelry. 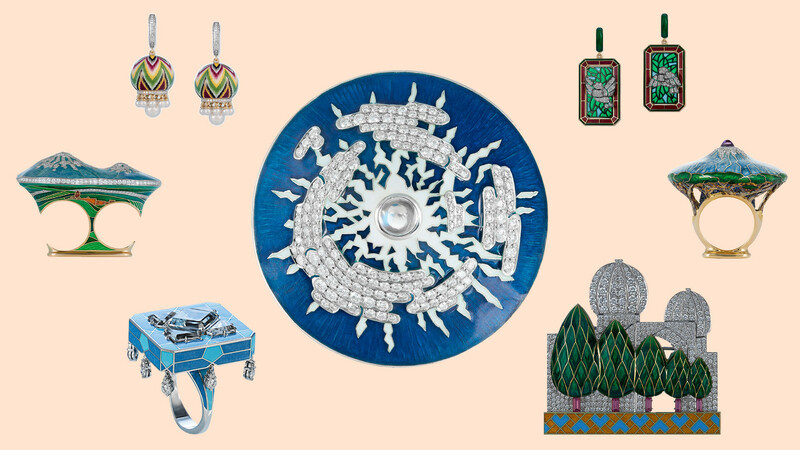 Under the brand name of Ilgiz F., this master creates unique ornamental pieces, some of which have already become collector items, appearing for sale at Christie’s and Sotheby’s. His signature techniques are hot enamel and stained-glass inserts, and he takes special pride in ornamental enamel pieces. This is a complex technique with historical connotations, traditionally common in Muslim countries, whose jewelry traditions inspire Fazulzyanov. In interviews he often compares himself to an artist. Indeed, his work, owing to its color and plasticity, resembles miniature artworks. Last year Ilgiz opened a gallery in Moscow (he also has a boutique in Paris, on the prestigious street, Faubourg Saint-Honoré), where he shows not only his own work, but also curatorial exhibitions of contemporary Russian jewelry art. This year the Agafonov Workshop will mark its 25th anniversary. It was founded by jewelry maker Leonid Agafonov, whose daughter Maria is now actively taking over the business. The workshop is famous for its enamel work and bone-carved pieces. When working with precious stones, the jewelry makers engage well-known gem cutters such as the world-famous master of artistic gem cutting, Dmitry Samorukov. The workshop’s pride is a jewelry box made of American walnut and carved mammoth tusk. It was born from the imagination of a master bone carver and realized by the entire workshop. Work on the jewelry box took almost four months. 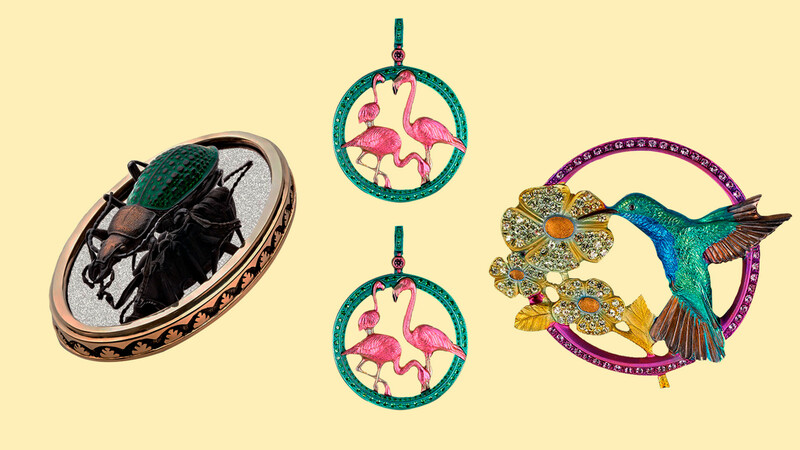 It is difficult to describe what the award-winning jeweler produces as ornamental jewelry. According to experts, his work, with its profound philosophical overtones, can be described as metaphors in jewelry. Thus, in creating his Games of Unicorns brooches (pictured right), Edward, who is originally from the Ural mountain region where East meets West, sets out the connection between different cultural traditions and layers of history. In the Royal Hunt composition he portrays the eternal theme of confrontation between man and time. The complex symbolism of his pieces is combined with subtlety of execution: Edward is a perfectionist and takes each piece to an artistic absolute. 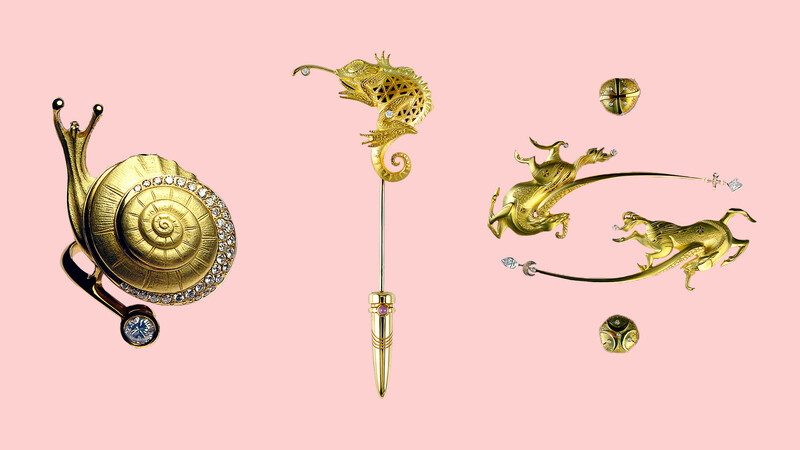 This brilliant jewelry designer also remains true to himself in small items, turning even accessories - for example, gold jabot brooches - into complex jewelry miniatures. 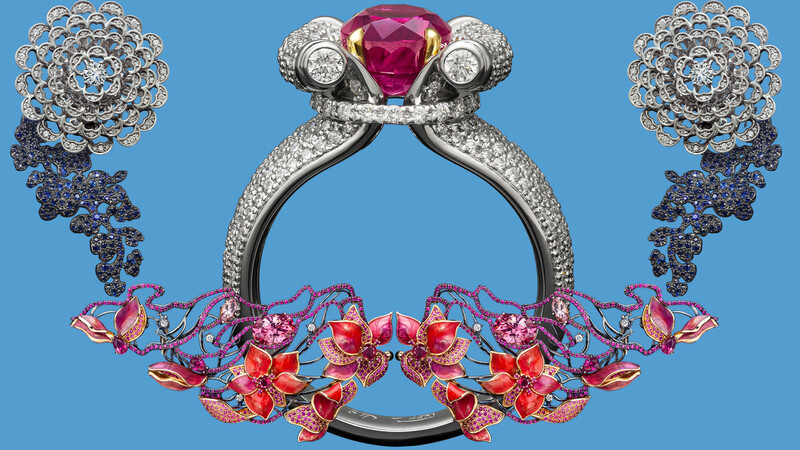 Borisenko's Epic Jewelry brand is still young, but it distinguishes itself with a flamboyant and unconventional style. As the only jewelry house in Russia that works with carbon fiber and creates gold rings in the shape of paper clips, its target audience is mostly young professionals, and this is why it has a sense of humor. Zakhar goes for unusual designs, doing collaborations with famous theater designers and illustrators. For five years the brand has been represented in Hong Kong and is a frequent participant at international jewelry exhibitions. 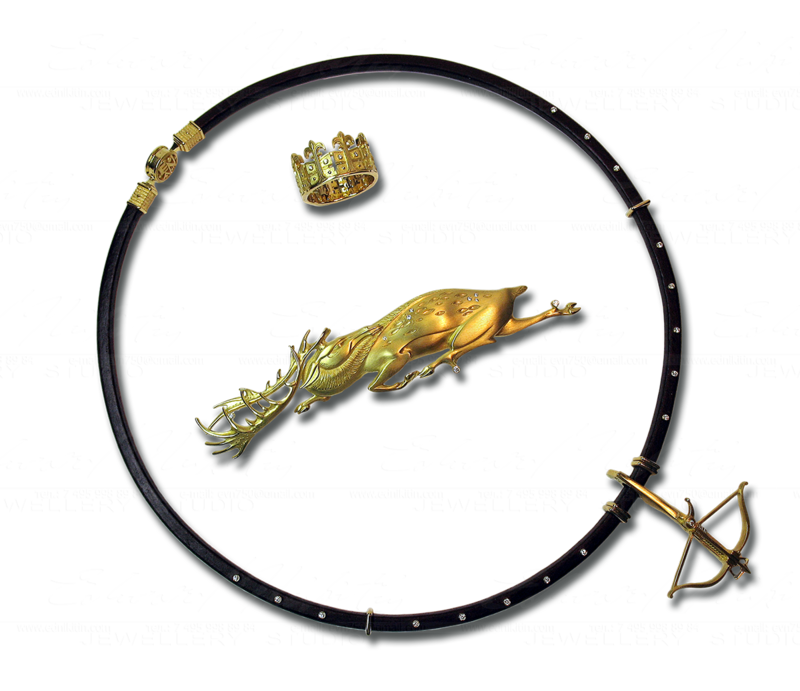 Epic Jewelry is also known for its pieces that have adjustable parts and ornaments with engineering themes, such as the Turbines series of rings and cufflinks, as well as a series that utilizes ebony. 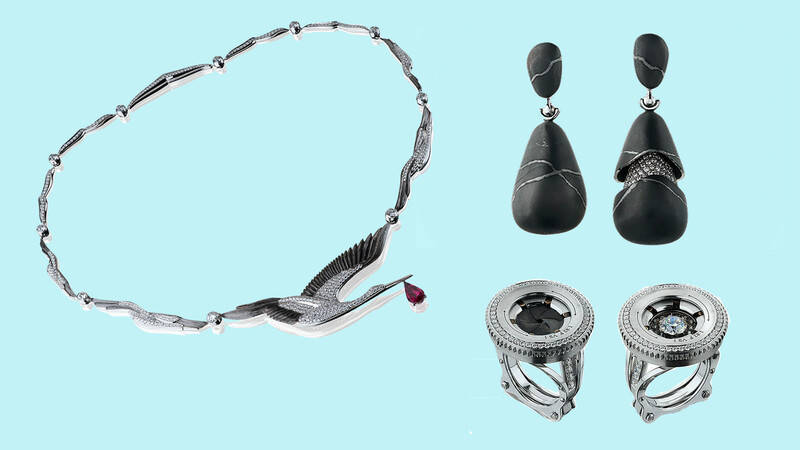 The Yaroslav ArgentoV brand specializes in exceptional jewelry work. The firm’s owner believes that jewelry design should be backed up by genuine craftsmanship rather than trends and fashion. The jewelry house is famous for its glyptic work: intaglios and cameos made by Russian craftsmen, and also stone-cut jewelry miniatures mounted to make perfectly functional pieces. The country's best intaglio carvers work with Yaroslav - in particular Vladimir Popovich, whose work has been recognized far beyond the borders of Russia. Vladimir is rightly regarded as belonging to the pleiad of the world's best masters of pictorial intaglio. The creation of artistic compositions using the technique of relief engraving requires particular meticulousness and experience, born out of many years of working with stones. In particular, ArgentoV has proudly launched Vladimir's work from the Russian Seasons series - the intaglio Carnival (pictured on photo), which depicts the legendary dancers Vaslav Nijinsky and Lydia Lopokova, executed on a blue topaz. This jeweler from Krasnoyarsk uses elaborate materials in his work. In particular, a series of ornamental items made of titanium has spread his reputation far and wide. Igor puts together complex sculptural compositions using elements that are worked with filigree precision: Anodised metal components are given unusual colors, enamel inserts and a scattering of precious stones. Last year Uchevatov's work was recognized on the national level with his participation in the exhibition, Best Artists of Russia 2018 - Decorative and Applied Art. Izmestiev Diamonds produces thematic collections with an emphasis on precious stones. 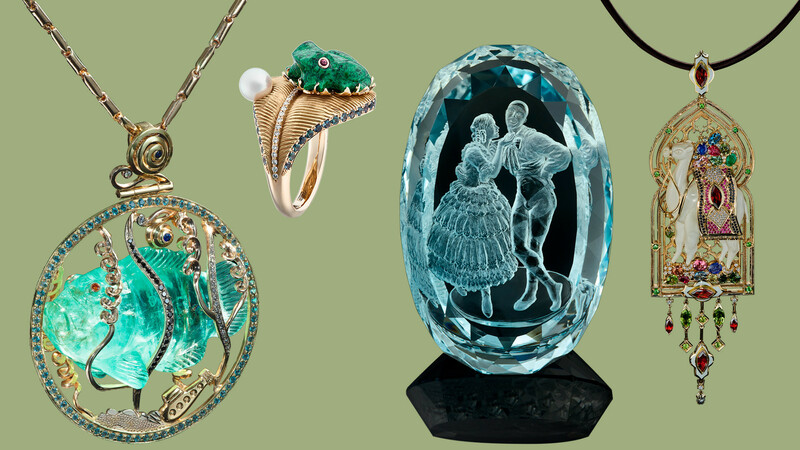 The brand has an impressive range of wares; for instance, a Dragon ring featuring a splendid Ceylon sapphire, a Grapes brooch with South Sea pearls, and an Ivy brooch with an elegant demantoid and diamond pavé setting. The brand's new collection is called Japanese Garden, and is based on themes drawn from the natural world of that Asian country. 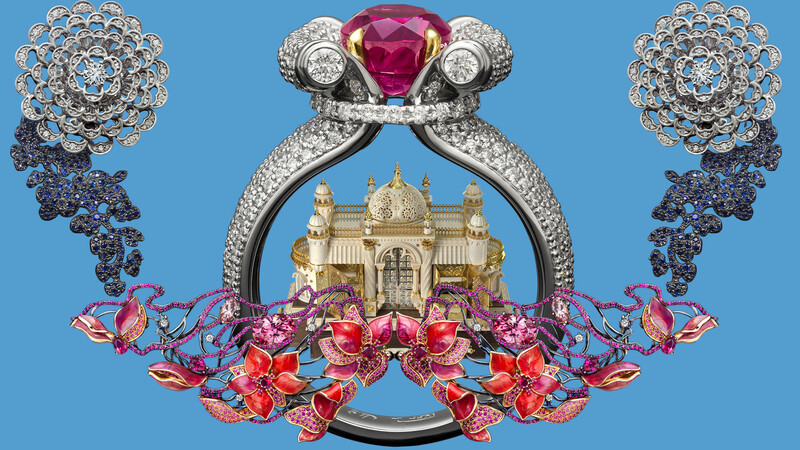 The centerpiece is a vivid flaming brooch, Wind in the Garden (bottom of the pic), made of rubies, Pamir spinels, diamonds, morganites and enamel inserts.